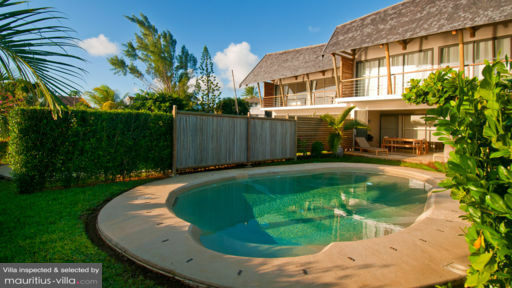 Located just 20 minutes’ drive from the lively Grand Baie, is Calodyne, a charming village in the north of Mauritius. The Anse La Raie beach in Calodyne is clean, quiet and the calm waters make it very suitable for swimming. Your holiday home in Calodyne is bright, spacious and close to the beach. It offers ultimate privacy, perfect for couples and families, impeccable services and incredible amenities such as private swimming pool, expansive garden and gym equipment. There are many things to do in the surrounding. Check out the famous Vergers of Labourdonnais garden, and you will be able to discover a wide variety of fragrant flowers, fruits and plants. If you’re looking for livelier activities, head over to Grand Baie, where you can visit beach and nightclubs, shopping malls, and take part in water activities such as snorkelling, scuba diving and jet skiing.